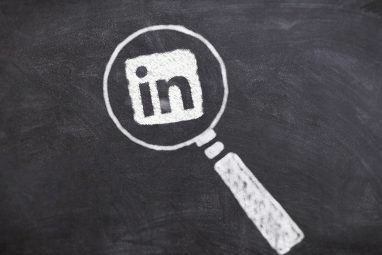 We all know LinkedIn as a place to keep on top of your professional network and search for job openings. But there’s plenty more to the platform than just that. 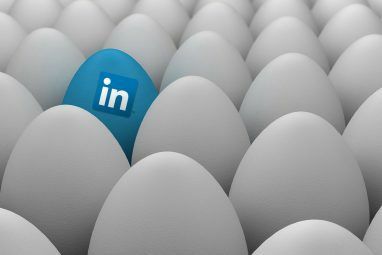 One of my favorite features on LinkedIn is being able to follow influencers and thought leaders who are not just sharing interesting links with their followers, but also publishing valuable, insightful content directly on LinkedIn itself. Intrigued? 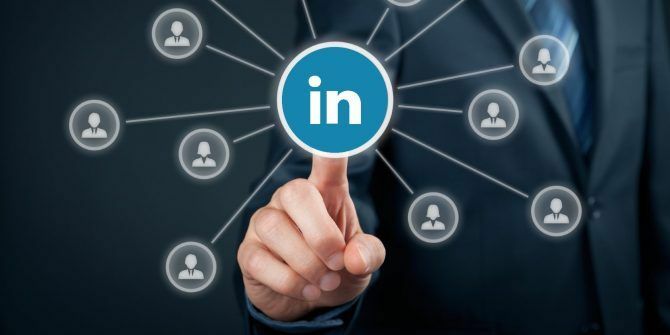 Follow a few of these popular influencers to keep your LinkedIn feed overflowing with fascinating, insightful content from some of the world’s most respected industry leaders. Needing no introduction, Richard Branson is the billionaire businessman behind one of the world’s most recognizable brands: Virgin. Throughout his career, he’s launched over 400 companies, yet somehow manages to maintain a remarkably healthy work-life balance 9 Lessons Richard Branson Can Teach You on Life and Business 9 Lessons Richard Branson Can Teach You on Life and Business What can you learn from a tycoon like Richard Branson? It turns out that his approach to life and business is straight forward. We extracted nine lessons you can apply to your own ventures. Read More . Be sure to follow Branson’s account for his regular industry insights and life advice. James Altucher is an investor, chess master, entrepreneur, and best-selling author who made a fortune, only to lose it then build it back up again. Altucher is a fantastic person to follow for anyone interested in reading refreshingly honest perspectives on topics ranging from stress and money to relationships and careers. Daniel Burrus is a leading expert on global trends and innovation. He spends his time looking at what lies ahead of us in terms of disruptive technologies and analyzing how these could impact our lives, jobs, and businesses in the future. Most widely known for her bestselling book The Happiness Project, Gretchen Rubin is an expert on developing healthy habits Want to Create a Life-Altering Habit? Try a Micro-Challenge Today Want to Create a Life-Altering Habit? Try a Micro-Challenge Today Habits can be difficult to change. The secret is in taking small steps. Make or break your habits with the help of these challenge-based apps. Read More and pursuing happiness. Her posts revolve largely around creating a fulfilling life, creativity, finding meaning, and discovering work-life balance. Whitney Johnson is all about disruption, especially creating “personal disruption” to help further your career 10 Best LinkedIn Influencers To Follow For Job Search and Interview Advice 10 Best LinkedIn Influencers To Follow For Job Search and Interview Advice Getting a job isn't easy in these tough times. The right advice can make it easy, such as how to answer a tough interview question. Let LinkedIn's experts help you out. Read More and speed up growth. Her work regularly appears in the Harvard Business Review, and she was named one of the world’s fifty most influential management thinkers by Thinkers50 in 2015. If you’re in any way interested in emerging technologies, you need to follow Bernard Marr. Writing on everything from Blockchain and Big Data, to Internet of Things, and artificial intelligence 4 TV Shows That Get Artificial Intelligence Right 4 TV Shows That Get Artificial Intelligence Right Fictional depictions of artificial intelligence have rarely been realistic. Fortunately, we're starting to see a change on television, and the resulting shows have been phenomenal as a result. Read More , Marr is a true expert in his field, offering plenty of lessons in every article he publishes. As President of global political risk research firm, Eurasia Group, Bremmer is a true expert in international politics, business, and economics. His articles give a fresh perspective and unique insight on each of these areas, and how they relate to each other. Sallie Krawcheck is the CEO and Founder of Ellevest, the digital financial advisor for women. When it comes to issues around empowering professional women including career and finance advice, this is the account to follow! Co-chair of the Bill and Melinda Gates Foundation and former CEO of Microsoft, Gates is sharing the thinking behind, and lessons from, his immense philanthropic missions. Taking on projects from eradicating Malaria to fighting Alzheimer’s, Gates is giving away his fortune for the good of humanity. And he’s sharing his thoughts along the way. Bloomberg TV anchor and CEO of Radiate, a startup that’s sharing invaluable advice from others who have achieved “success,” Liu has plenty to share about business and the media. Here articles cover everything from becoming an entrepreneur, leadership, and advice from CEOs she’s meeting along the way. Gary Vaynerchuk is the Chairman of VaynerX, CEO of VaynerMedia, author, speaker, and the undisputed master of hustle. His daily vlogs on YouTube 12 Engaging Vlogs You Need to Start Watching Today 12 Engaging Vlogs You Need to Start Watching Today If you're new to the world of vlogging and wondering where to start, or you're simply on the lookout for some new vlogs to check out, this list is for you. Read More show just how hard Vaynerchuk works. His articles echo his philosophy of “working your face off” and never giving in to excuses. If you need a bit of motivation How Watching 3 Motivational Videos a Day Changed My Life How Watching 3 Motivational Videos a Day Changed My Life Want to see if motivational videos have any kind of impact on your life? If you have a dream that you've been putting off, try a life experiment of watching motivational videos every day. Read More to keep your nose to the grindstone, this is it. As a writer, media strategist, and bestselling author, Ryan Holiday has worked with everyone from Tim Ferriss to Robert Greene. His in-depth understanding of branding and marketing lends an especially fascinating look at how individuals can approach their own projects, life, and career. Only a small portion of Holiday’s work appears on LinkedIn, but it’s all worth your time! With a mission like that, it’s no surprise that Mitra’s LinkedIn profile is chock-full of gold for anyone interested in entrepreneurship and investing. Follow CEO of Hootsuite, Ryan Holmes, for an insider’s perspective on social media, entrepreneurship, and marketing. As head of a 1,000-person company that’s at the forefront of social media marketing, there’s a ton to be learned about the future of social 5 Social Media Predictions for 2017 5 Social Media Predictions for 2017 Although we're not seeing too many huge, rapid changes in social any more, there are still some trends that we'll see in 2017. Fun in the short term, but revolutionary in the long term. Read More and how to run a business in the coming years. Formerly an employee at Google, YouTube, and SecondLife, and now Partner at HomeBrew VC, Walk is an expert in product development, idea generation, scaling, and marketing. That being said, you don’t need to be an entrepreneur to get value out of Walk’s posts. On his LinkedIn account, you’ll find content covering everything from tech industry insights to productivity tips. Which Influencers Did We Miss? 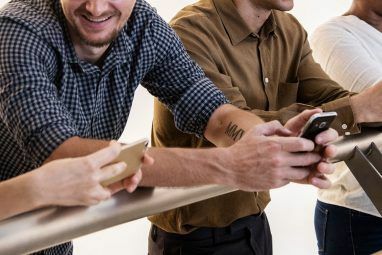 By following just a few of these influencers, your LinkedIn feed will become a far more valuable, interesting tool than before. And, if you want to go one step further, to position yourself as an influencer on LinkedIn, consider posting your own content on the platform using LinkedIn’s sleek editing tool Boost Your Career By Publishing on LinkedIn Boost Your Career By Publishing on LinkedIn Writing on LinkedIn is a great way to display your professional perspective, which can help your career and grow your personal brand, even if you're just getting started on the site. Read More . It’s quick, easy, and allows you to reach a potentially huge audience. If any of your favorite influencers have been missed off this list, be sure to give them some love in the comments! Nice one Rob Nightingale, look forward forward to seeing the list being expanded, especially to other fields..